Charming house. 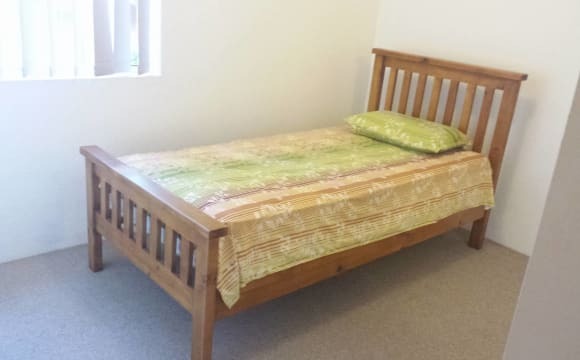 Nice sunny, quiet room, fits a double bed comfortably. Ducted airconditioning. Wide, quiet street, close to park with skate ramp, playground and footy fields, shops and all transport. Close to beaches. 3 mins drive to station. Great security including alarm. TV point in bedroom, best to have own TV. 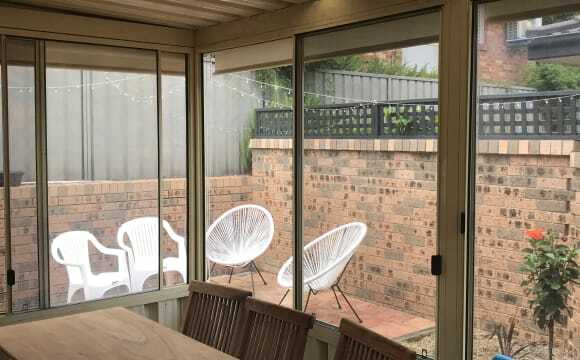 This renovated brick home conveniently located just meters from Gosford CBD, railway station, Hospital, Schools and other amenities. Close to Freeway if travelling to Sydney for work. Main bedroom with ensuite plus 2 generous sized rooms with built-ins, large living areas, Ample gourmet kitchen, full updated bathroom; There is an almost new laundry, loads of extra storage space scattered throughout the home. We are looking for quiet, tidy &amp; clean person to share this beautiful house. Open plan 3 bedroom / bathroom house. 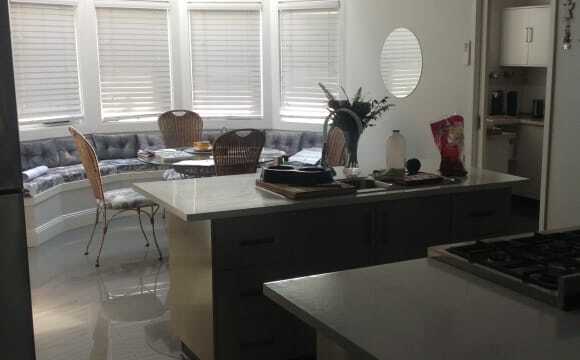 Dining room / lounge room and kitchen are all open plan. There is a balcony as well, which catches the sun in the afternoon. The third bedroom is currently utilised as a study/ storage area. 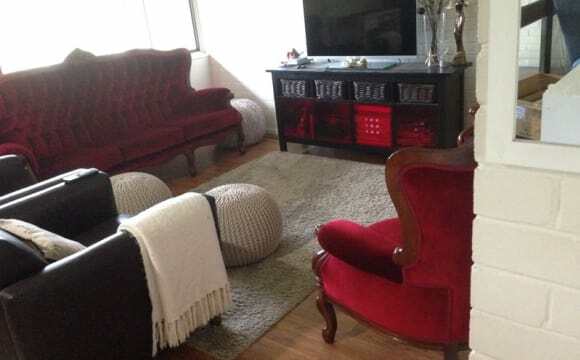 House is fully furnished - there's no space for additional pieces of furniture to be brought in. 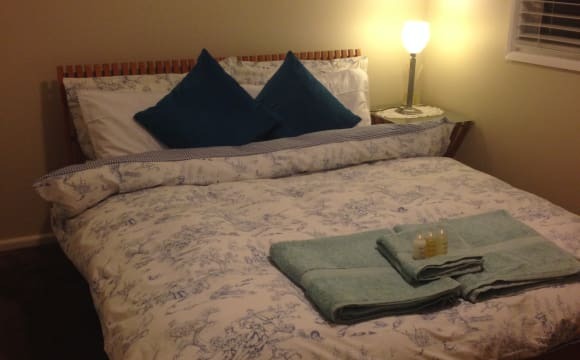 Bedroom is currently furnished with a double bed, large chest of drawers/tallboy, built in wardrobes (mirror doors) and lamp and bed side table, block out curtains. If required, I can also provide linen for the bed, pillows and towels etc. You would have your own bedroom and the main bathroom of the home. Bathroom is large, and features a large bath and separate shower. Bedroom is a decent size. Currently it has a double bed, and still room for book shelves or drawers as well. 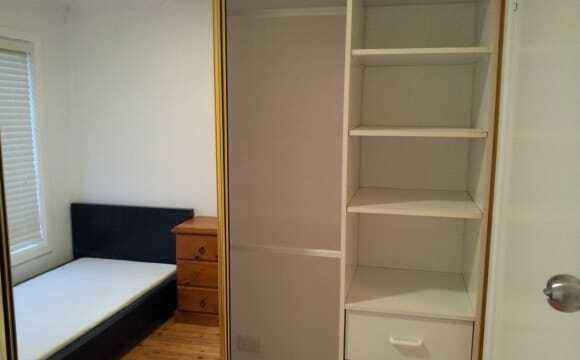 Bedroom has a medium sized built in wardrobe with mirror doors. 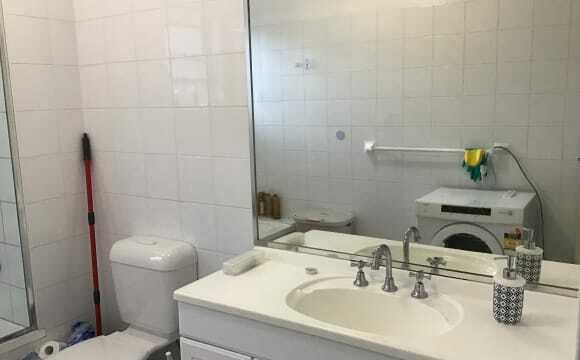 Located in quiet complex with security gate. Bus stop located right outside the complex, and Gosford station nearby. All neighbours are quiet and friendly. Parking isn't available within the complex, however,plenty of on street parking is available. I'm fairly sociable, but I also recognise the importance of 'down time'. Seeking a female professional who is has a similar mind set. I have a cat who lives inside, but she's friendly and loves a snuggle! I work full time Monday through to Friday and am rarely at home over the weekend. I have a partner who might stay a few nights on occasion. Bills are half internet, half electricity and half payment for cleaner and are additional to the rent. From experience the easiest way to manage communal areas with housemates is a cleaner. Reverse cycle air conditioning in common areas. 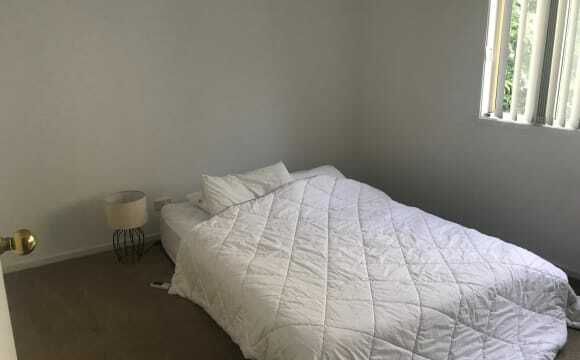 Townhouse 3 bed rooms in Point Frederick room available, fully furnished, queen bed , built in wardrobe, air con , unlimited nbn. 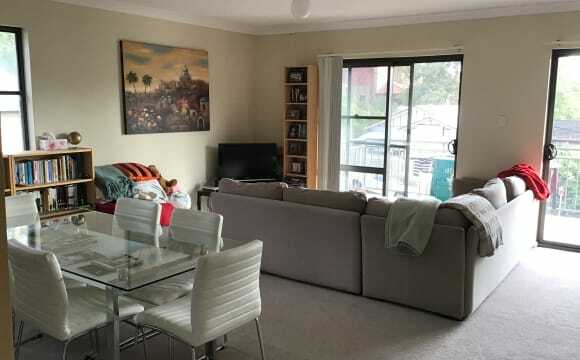 Convenient to uni, shop cafe, public transport, 5 mins to Gosford and Erina shopping centre, short walk to waterfront . 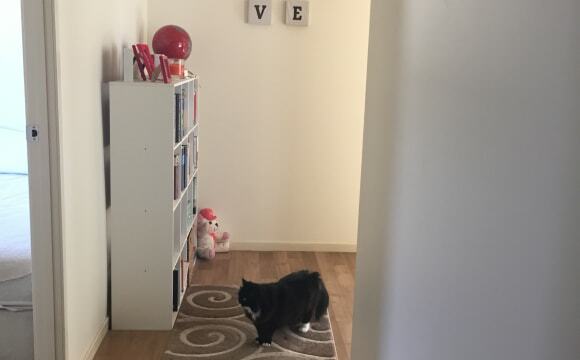 Location, location, location....the position is convenient to Uni, Shops, Cafe's, Train Station, public transport, Hospital, Waterfront &amp; Shopping Centre etc. Point Frederick, which is surrounded by water and is one of the Central's Coast most sort-after addresses in affluent suburb. The property has plenty of on-site parking. The two living area's are all upstairs; including kitchen, walk-in pantry, balcony &amp; one toilet. Their is another toilet downstairs separate to bathroom. All four bedrooms, bathroom &amp; laundry are downstairs. The townhouse is double brick, therefore their is minimal noise. This place is very close to public transport (Bus and train), a short 5 min walk to shops, and a short 5 min walk to the local hospital. It’s perfect for commuters or students. The property is also north facing with a large balcony which gets great sunlight throughout the whole day. 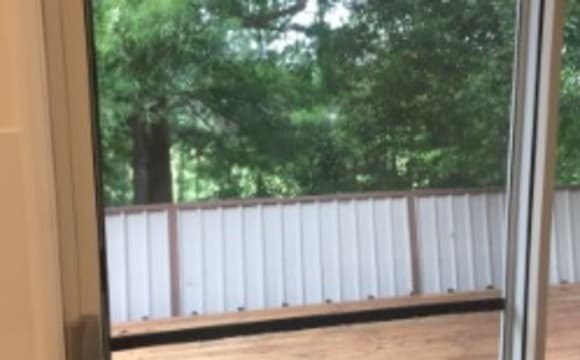 Live in a quiet, serviced house. Just bring you luggage and manchester. Everything else is provided for. Its a fully furnished 3 bedroom house with contemporary kitchen and bathroom, internals renovated a few years ago and polished floorboards. Undercover balcony for the occasional dinner party on the weekends. 7 minutes casual stroll to Gosford train station, 2 minute casual stroll to Gosford Hospital. 2 minute stroll to Henry Kendall High School/primary school. 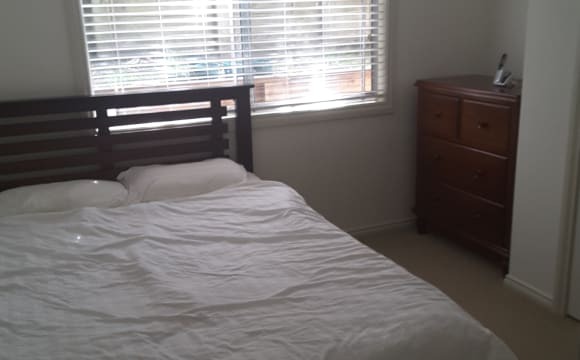 5 minutes walk to Gosford High School, 10 minutes walk to Woolworths,Aldi and other shops on Gosford main street. There is a direct bus route from Gosford Station to Ourimbah Campus of Newcastle University. Garden is shared and fully maintained by owner. Its a work in progress with the backyard being converted to an organic food forest. Shared produce of organic eggs, fruit and veges when available. Internet, Electricity and Water bills are included. You will have the fastest Internet (NBN) that no other shared accommodation will ever give you. You will have a choice of wireless or wired internet connection. Common Area has air conditioning. Has a heated towel rail for those cold winters. 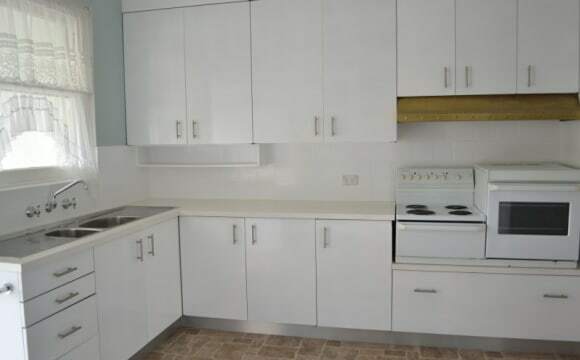 Access top quality appliances such as a coffee machine and rice cooker. If you do use it however, you are responsible for cleaning it. Will suit someone who pays their rent on time, is clean,quiet and has full respect for other occupants. The common areas will be serviced by a cleaner who comes in on a monthly basis but there is also a rostered schedule for putting out the garbage, clearing the dish rack and cleaning the air conditioning filter. You still need to clean up after yourself to ensure you are respectful enough that others can also use the facilities in the common areas. Each room has own key entry. Your bedroom has a double sized bed and built in wardrobe. Prospective tenants wanting to stay 12 months+ have higher preference Employment and Rental reference required. 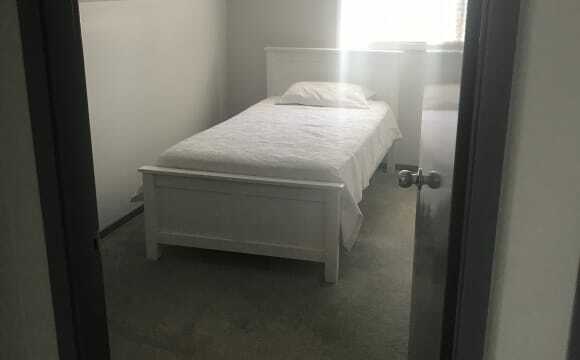 $800 bond Rental payments to be done electronically No smokers No Pets Organic Fruits and Vegetables in Season Fully Serviced Common Areas Air Conditioned Common Area Heated Towel Rail Quality Appliances Wired and Wireless Internet Connection Electricity and Water have an acceptable use policy. Any excess may need to be paid for Email or SMS me for inspections on Tuesdays, Saturday or Sunday.